In business, it’s knowing and seeing a need, and then providing a solution that proves success. That’s what happened for two Shelby Township entrepreneurs. A few years ago, Tom Laboda and Dan Bailey heard from an acquaintance that a brewer in Traverse City was upset because he couldn’t buy malt that’s made in Michigan. The brewer wanted to produce a Michigan brew. Coupled with the constantly increasing number of craft breweries in the state and our local area, Laboda and Bailey, friends since 10th grade at Eisenhower High School, saw this as an opportunity and founded MotorCity Malt House. “Currently, most malt houses are on the West Coast. With the craft beer boom going on, more and more people wanted to go local and it just wasn’t happening. We realized that we could offer craft malt that’s produced in small batches and bring the flavor of the state to local breweries,” said Laboda. MotorCity Malt House gets its barley from Michigan’s Thumb region, a region with barley-producing heritage. “The four farmers we use are from the Thumb and they have family or someone they know who used to grow barley for Stroh’s Brewery Company. That went away when Stroh’s shut down. It’s been exciting to bring back something that was a part of Michigan history.” Laboda added. In operation since last October, MotorCity Malt Company counts Baffin Brewing Company (St. Clair Shores), Brooks Brewing (Shelby Township) and Cap ‘N’ Cork Homebrew Supply (Macomb Township) as Macomb County clients. They also have a smattering of statewide clients. 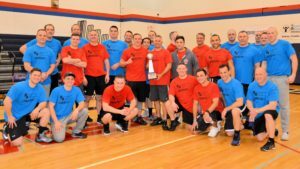 “We worked with the Macomb County planning department. They were great. They helped us look for real estate, hooked us up with the Michigan Agricultural Department and with the Detroit Food and Ag Network. We picked our Shelby Township location because we wanted to be close enough to the farmers and the breweries,” Laboda added. MotorCity Malt House has been experiencing steady growth and more growth is likely as word is getting out and more and more brewers are trying the company’s product. According to Laboda, further growth will not occur at the expense of the company’s core values. “We’d like to grow, but we never want to lose that craft malt part of it. We don’t want to become another factory producing malt. What we expect to produce this year is the equivalent of a single batch for the large malt houses. We want to keep things fresh, tasting better than the stuff brewers can get from the big factories,” he added. Next time you’re at one of the craft brewers mentioned above, ask them to serve you a beer with malted barley from MotorCity Malt House. It’s a refreshing way to support local brewers and farmers. 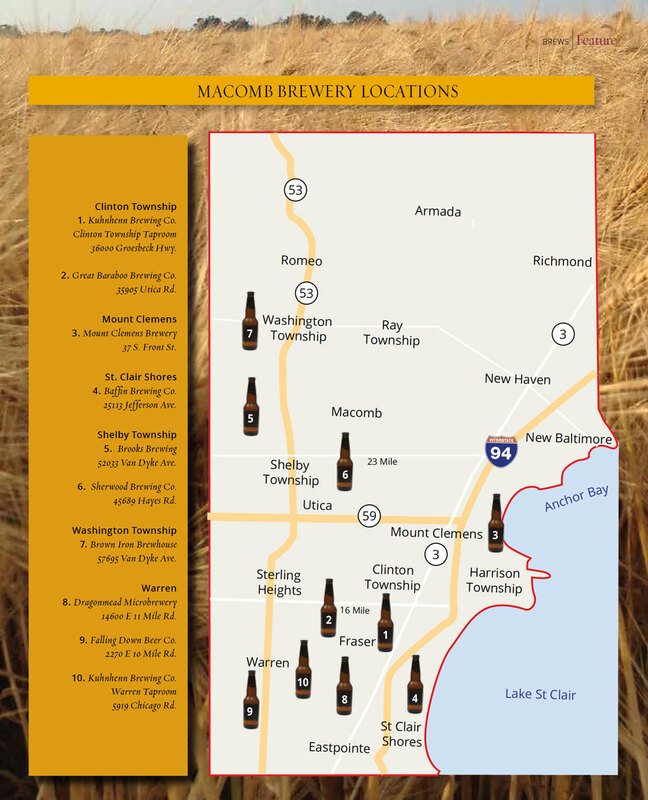 And check out our map of Macomb’s local breweries. You may want to use it for your next pub run. Cheers.